Learning the conjugation of the verb essere is fundamental if you want to learn Italian, as it is by far the most used verb of the language. Essere is an auxiliary verb, which means it is used to make other verbal tenses. Essere is also irregular, so you will have to learn all of its forms by heart. But don’t worry—once you learn how the compound tenses are made, you will already be halfway through. 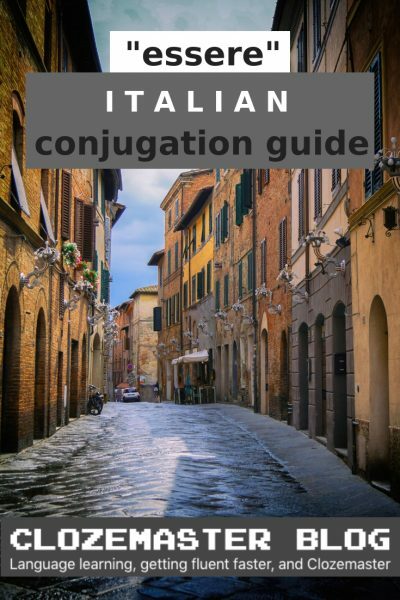 Let’s see how essere is conjugated, and how it is used in common Italian phrases. There are four finite moods in Italian: indicative, subjunctive, conditional, and imperative. The indicative mood is made up of eight tenses, four simple tenses, and four compound tenses. It is used to express certainty that an action happened or that it will happen. As you can see, you don’t have to add the subject to the sentence when it is implied by the verb. You could get rid of io in the first example and the sentence would still be grammatically correct. This tense can also be used to express doubt, to give orders, or to provide an estimate. These ways of using the future tense are only used in colloquial speech. These tenses are built by pairing the auxiliary verb with its respective past participle form. There are four compound tenses in the indicativ. To create them, all you have to do is use the conjugated simple form of essere in the tense you need, and add the participle stato to it. Once you learn how to conjugate essere in the simple tenses, you will be able to easily construct the following tenses as well. The most versatile past tense, passato prossimo is used to indicate an action that happened and reached its conclusion in the past, compared to imperfetto, where the action was still happening at the time of speaking. This tense is used to talk about an action or event already performed in the past, which precedes another to which it is connected and which is expressed by a past tense. Nowadays, it is only used very rarely. It is archaic and being gradually replaced by passato prossimo, so you will mostly find it in older works of literature. Three out of the four compound tenses are only used to describe events in relation to other events. They do not make sense in standalone sentences. Passato remoto is the only compound tense that works by itself. Essere can be an auxiliary to itself, unlike in English. The phrase that follows one with the compound tense has to be in the corresponding simple tense. So, if you use trapassato remoto, the following phrase has to be in passato remote, and if you use future anteriore, the following phrase has to be in future semplice. The subjunctive (congiuntivo) mood is used to express subjectivity, uncertainty, or doubt. It is used in subordinate clauses—clauses that cannot exist as a complete sentence because they do not express a complete thought—and always introduced by the word che (that). Like the indicative, it has simple and compound tenses. Let’s see how to conjugate essere in the subjunctive mood. You create these by adding stato to the corresponding auxiliary. The word che can be omitted when the verb expresses doubt or uncertainty. It cannot be omitted when expressing will. The subjunctive mood does not have its own conjugation in English. The conditional (condizionale) mood is used to indicate an event that will happen only if a certain condition is satisfied. Below is the conjugation of essere in the two tenses of the conditional mood. The English language does not have the conditional mood. To create hypothetical sentences, it uses conditional sentences instead. The subordinate phrase of a conditional sentence is always in the subjunctive mood. The imperative mood is used to give commands and orders. In English, it is rendered with the present simple. These moods do not have a subject, hence the name “indefinite”. They are used in subordinate sentences, where you can figure out the missing subject from the context. The infinitive present is the base form of the verb, so this is the form you look for when looking up a verb in a dictionary. Do not expect to see essente anywhere. Stato on the other hand is all over the conjugation. Learning the conjugation of essere might seem daunting at first, but don’t worry, it comes naturally with practice. 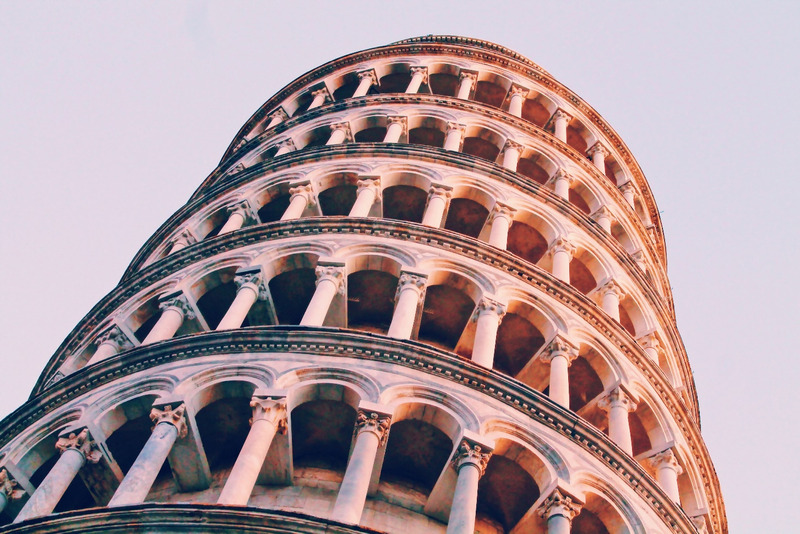 Test your skills and see what you’ve learned from this article by playing a selection of Italian sentences with conjugated forms of essere. Sign up here to save your progress and start getting fluent with thousands of Italian sentences at Clozemaster. Clozemaster has been designed to help you learn the language in context by filling in the gaps in authentic sentences. With features such as Grammar Challenges, Cloze-Listening, and Cloze-Reading, the app will let you emphasize all the competencies necessary to become fluent in Italian. Take your Italian to the next level. Click here to start practicing with real Italian sentences!